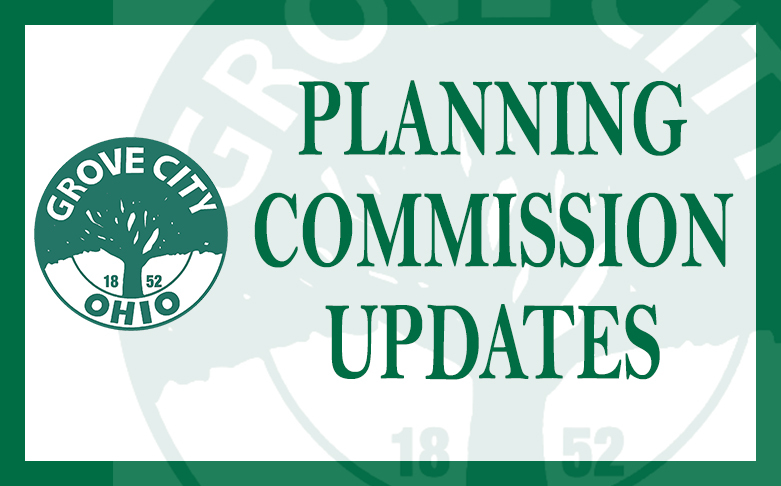 The Grove City Planning Commission met Tuesday, April 2, 2019, to review two (2) Development Plans. Bank of America, located at 2336 Stringtown Road, was a proposal to demolish the existing building and construct a new Bank of America with an outdoor ATM, and Speedway #1231 was a proposal to reconstruct a portion of the existing building, located at 1895 Stringtown Road, and add a new retail store and gas canopy with 10 pumps. Both items received a unanimous recommendation of approval and are scheduled to be heard before City Council at the April 15, 2019 meeting. For more information, or to learn about additional development projects in the community, visit the Ongoing Development page or contact the Development Department at 614-277-3004.